One of the most highly anticipated remasters finally has a release date: The Nintendo Switch version of Dark Souls, Dark Souls: Remastered is making its way to the console on Oct. 19, Bandai Namco announced Tuesday. DLC for the original Dark Souls is included with the remastered edition of the game. The exclusive Solaire of Astora Amiibo will also be released when the game launches. 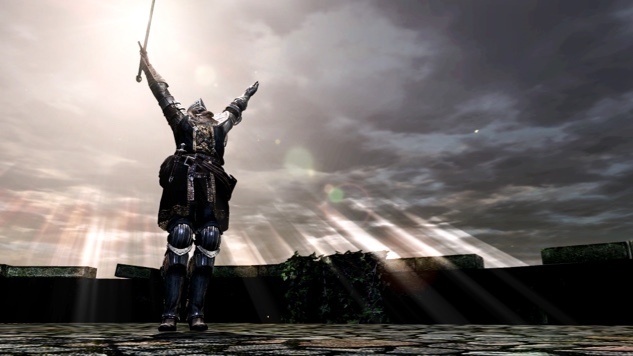 Using the Solaire of Astora Amiibo grants players the ability to perform the infamous “Praise the Sun” salute at the beginning of the game. Without the Amiibo, players will have to unlock the salute later in the game by playing the adventure. With tense exploration and fearsome foes, the twisted world of Dark Souls: Remasterd is full of trials and tribulations, extreme battles, diverse weaponry and powerful magic. Players can customise their character to exactly suit their play style, should it be a heavily armored merciless warrior or a frail but mighty sorcerer. The Nintendo Switch version of Dark Souls: Remastered will allow players to face those challenges head-on anywhere and everywhere! Bandai Namco and developer From Software will give players a chance to play the game early with its online network test. Online play for Dark Souls: Remastered allows up to six players to play together. The network test will begin sometime before the game’s launch but no firm release date was given.